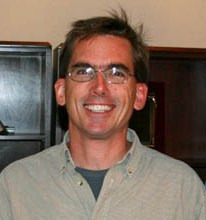 Prof. Schiemann's research interests currently center on state-sponsored torture, particularly interrogational torture. Following up on his Does Torture Work? (Oxford University Press, 2015), he is presently working on another book-length project on state torture. He also has a separate project examining ethnic mobilization by Croatian Serbs, and previously has written on democratization, regime change, and institutional choice. Does Torture Work? Oxford & New York: Oxford University Press, 2015. "Interrogational Torture: Or How Good Guys Get Bad Information with Ugly Methods," Political Science Quarterly 65:1 (2012). "Bizarre Beliefs and Rational Choices: A Behavioral Approach to Analytic Narratives," Journal of Politics 69:2 (May 2007). The Politics of Pact-Making: Hungary’s Negotiated Transition to Democracy in Comparative Perspective. New York: Palgrave Macmillan, 2005. Listen to his interview with Mike Pesca on The Gist podcast at slate.com. View videos of Prof. Schiemann discussing a government-issued torture report (December 2014) on Richard French Live and NJTV News. View a video of Prof. Schiemann's talk, "Torture Games." 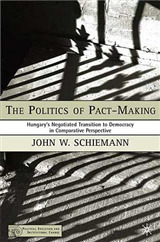 Read a news release about Prof. Schiemann's most recent book.